Margaret Mead was an individual aware of the influences of historical context, personal culture and national culture on the various positions she took with regard to social and political change. She considered herself democratic but in attitude rather than politics. When that attitude became threatened in the 1930s with the rise of Hitler and regressive steps against emancipation she and her then husband Dr Gregory Bateson became ‘politically’ active in their attempts to challenge the pervasiveness of fascism. 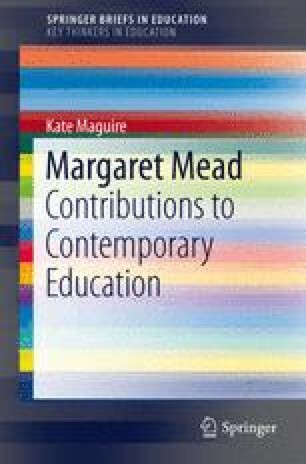 Gerhardt (1995) has written one of the most lucid accounts of Mead’s positioning at this time and later in her paper entitled Margaret Mead’s ‘Male and Female’ revisited. Robertson, S. M. (2010). Neurodiversity, quality of life, and autistic adults: Shifting research and professional focuses onto real-life challenges. Disabil Stud Q, 30(1). http://dsq-sds.org/article/view/1069/1234.